The hotel lot was well covered with tall pine trees as demonstrated by photographs of the building. These stately conifers were probably responsible for the appellation, Pines Hotel. The completed Pines Hotel contained eighteen bedrooms, six baths, two kitchens, a dining, living, and other rooms. It had the distinction of being the last hotel built at Ocean Springs. The Morris Family had moved to Ocean Springs from Chicago in1910 where Mr. Morris was in the candy manufacturing business. He was a native of England, the son of Thomas Morris and Elizabeth Baker, having emigrated from that country in 1872. Morris probably settled at Chicago where he met and married his wife Chicago native, Lydia E. Meyers (1872-1933), the daughter of Leo Meyers. Two children were born in Illinois: Myrtle Morris Maxwell (1893-1970) and Robert E. Morris (1902-1970). In June 1919, Myrtle, called Nellie, married Karl C. Maxwell (1893-1958) of Ocean Springs, the stepson of Albert C. Gottsche (1873-1949) and Cynthia Davis Maxwell (1869-1951). Mr. Gottsche operated a well-known grocery store on Washington Avenue. The Pines Hotel was built to accommodate seasonal tourist and itinerant workers. During the short history of the Pines Hotel, Ocean Springs was a citrus and garden center. Horticulturist and orchard men such as, Charles E. Pabst (1843-1925), H.D. Money (1869-1936), Theodore Bechtel (1863-1931), E.W. Halstead Sr.(1876-1933), and C.S. 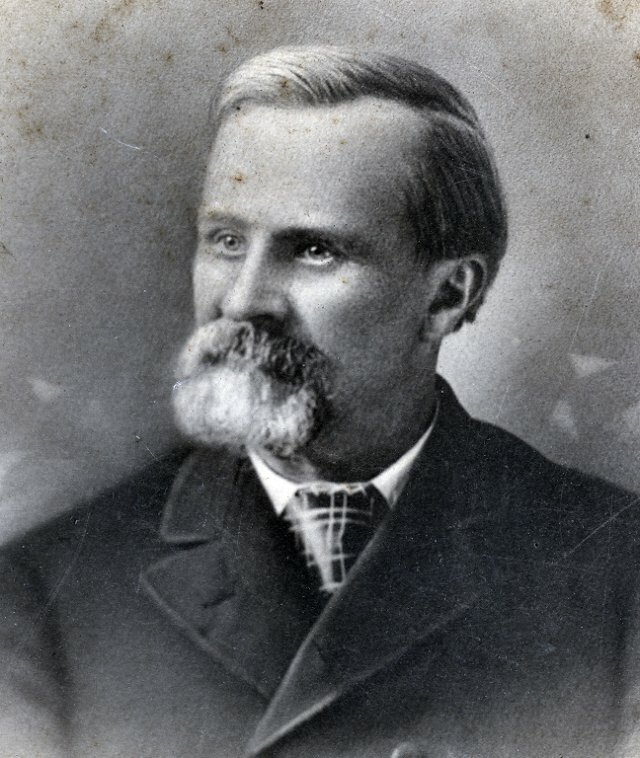 Bell (1843-1925), among others were actively engaged in commercial agriculture. As government inspectors were sent to survey the citrus groves and nurseries in the immediate area, they required a comfortable place to stay. The Pines Hotel afforded this ambience. Ernest A. Morris probably opened the Pines Hotel for business in October 1915. He hadThe Ocean Springs News office prepare and print an attractive brochure describing Ocean Springs and his new hotel at this time. Thomas Ewing Dabney (1885-1970) was editor of the journal. The beauties of the Southland doubly if you stay at THE PINES HOTEL. Situated on a lofty hill overlooking the Bay, the tang of the sea air and the health giving odor of the pines, sweep across its spacious veranda and through its commodious rooms alternately. It is a new building, having just been built, is newly furnished from top to bottom. It is screened, double floored, steam heated, and fitted with hot and cold water in each room. There are commodious baths on each floor. Special attention will be centered on the cuisine. All the delicacies of the sea and country can offer constitute the menu: Oysters, chickens, fresh milk and butter, sheephead, flounders, etc. A special effort will be made to have everything as much like home as possible. The water supply is from an artesian well. The smiling day at Ocean Springs. 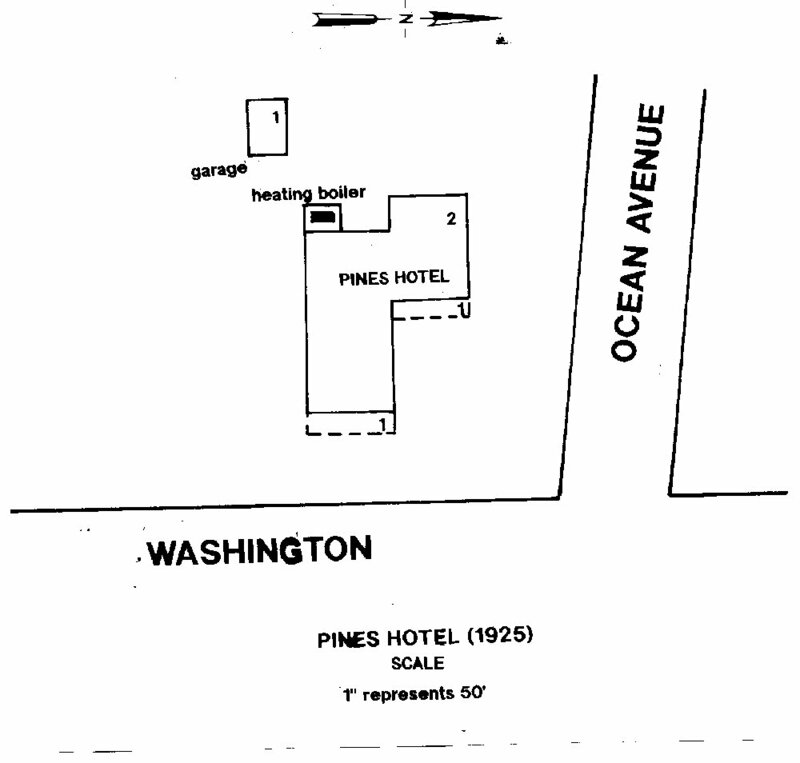 During 1931, it appears that Mrs. Levy leased the Pines Hotel to Mr. and Mrs. F.H. Bottenfield of Chicago, probably. In August 1945, Albert S. Johnson II to Stella G. Joachim for $1200. (JXCO, Ms. Land Deed Bk. 97, pp 12-13). Mississippi Department of Archives and History, National Register of Historic Places Inventory-Nomination Form,“Old Ocean Springs Historic District”, Item 7, 1979. C.E. Schmidt, Ocean Springs French Beachhead, (Lewis Printing Services: Pascagoula-1972), p. 79. Cause No. 6253, “W.G. Slay Jr. v. Albert Levy, et al”-May 1940. Cause No. 10646, “Frank Galle v. Mrs. Theone Galle”-February 1949. The Baton Rouge Advocate, “Mary Raymond Genre”, February 9, 1999. The Daily Herald, “Pines Hotels Burns”, May 6, 1932. The Daily Herald, “Morris Funeral”, July 26, 1933. The Daily Herald, Mrs. Victor Levy Dies”, February 28, 1935. The Daily Herald, “W.G. Slay Jr. Dies After Long Illness”, October 15, 1951. The Daily Herald, “Watson Wood Is Named To Biloxi Hospital Board”, October 7, 1957, p. 9. The Daily Herald, “E. Watson Wood”, September 27, 1972. The Daily Herald, “Alfred A. Raymond”, June 15, 1975. The Gulf Coast Times, “Cottages Being Built”, October 13, 1950. The Gulf Coast Times, “Chicago Residents Purchase Property”, November 3, 1950. The Gulf Coast Times, “Personal Items”, November 24, 1950. The Gulf Coast Times, “The Good Old Summer Time Is Here But For How Long Is Not The Story”, March 15, 1951. The Gulf Coast Times, “Merry Makers”, March 3, 1954. The Jackson County Times, June 1, 1916, p. 1. The Jackson County Times, September 9, 1916, p. 5. The Jackson County Times, "Local News Items", June 12, 1920. The Jackson County Times, "Local News Items", September 4, 1920. The Jackson County Times, "Local News Items", October 2, 1920. The Jackson County Times, "Local and Personal", May 14, 1921. The Jackson County Times, "Local and Personal", January 13, 1923. The Jackson County Times, "Local and Personal", March 9, 1924. The Jackson County Times, “Local and Personal”, August 16, 1924. The Jackson County Times, “To Our Hostess At The Pines”, March 20, 1926. The Jackson County Times, “Local and Personal”, July 31, 1926. The Jackson County Times, “Electrical Construction Company”, August 7, 1926. The Jackson County Times, "Employees of Biloxi Store Enjoy Banquet at The Pines Hotel", January 15, 1927, p. 3, c. 1. The Jackson County Times, “Local and Personal”, March 12, 1927. The Jackson County Times, “Local and Personal”, March 20, 1926. The Jackson County Times, "Frank Raymond President of New Laundry Company", April 14, 1928, p. 3. The Jackson County Times, “The Pines Hotel In hands Of Former Owner”, June 8, 1929. The Jackson County Times, June 8, 1929, p. 1. The Jackson County Times, “E.A. Morris Dies”, May 25, 1946. The Mississippi Press, “Gulley files for bankruptcy”, September 15, 2000. The Mississippi Press, “Appeal Denied; Gulley jailed”, January 10, 2001. The Ocean Springs News, “Local News”, December 3, 1910. The Ocean Springs News, “Local News”, October 14, 1911. 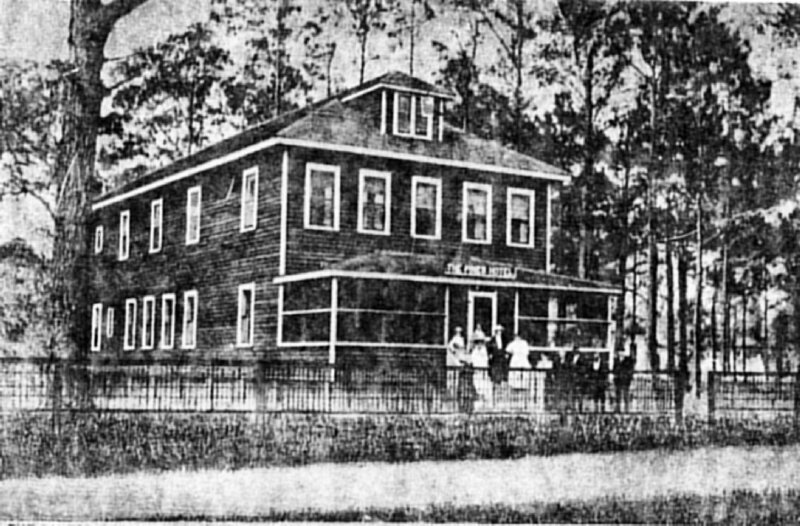 The Ocean Springs News, “The Pines Hotel”, Thanksgiving 1915. The Ocean Springs News, “Heart Fund Drive Opens Today; Watson Wood Heading Fund to Fight Top Death Cause”, February 19, 1959. The Ocean Springs News, “Services Thursday For Gertrude Wood”, June 7, 1962. The Ocean Springs News, “Wood-Parker”, December 17, 1964. The Ocean Springs Record, “Rain, Hail, Sleet, nor”, May 16, 1968. The Ocean Springs Record, “Prominent Civic Leader Dies”, September 28, 1972. The Ocean Springs Record, “Wood Memorial Garden Dedication”, April 12, 1973. The Ocean Springs Record, “E. Watson Wood Garden Dedicated”, April 19, 1973. The Ocean Springs Record, “Anita Louise Pontius”, April 24, 1986. The Sun Herald, “Frank Galle Jr.”, September 30, 1986. The Sun Herald, “Company denies it knew about Gulley”, July 25, 1998. The Sun Herald, “Embezzler’s new trial to be moved”, April 20, 2001. Sanborn Map (New York), "Ocean Springs, Mississippi", (1925)-Sheet 5. U.S. Census - Jackson County, Mississippi (1910 and 1920).